Photojournalists take you to places you cannot easily access yourself. A great example of this asset of photojournalism is Sebastian Liste’s series of the families living in “Galpao da Araujo Barreto”, an abandoned chocolate factory in Salvador de Bahia, Brazil. This long term photo project called Urban Quilombo started in 2009 and shows the new society inhabitants of the factory have created. And the emotions, dynamics and problems that come with it. The series greatly displays both of Sebastian’s roles; the sociologist and the photographer. Clare is part of a group of 8 LGBT activists from various regions in the world where gay rights are under attack. The group is invited by RNW Media. Clare was "outed" in Ugandan media when a story about her personal life was published. "Outings" are a common threat for Ugandan LGBT activists. Tabloids put pictures and personal information on their front covers. After the outing she constantly gets death threats. She can’t walk in public, because the risk of being attacked. As Clare explains: "People say: It’s the girl we’ve seen on TV, in the newspapers." 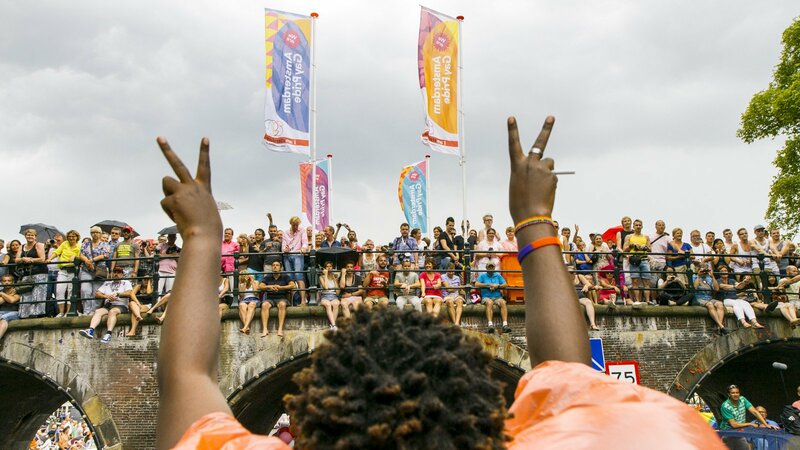 At an advocacy event during the Amsterdam Gay Pride in Amsterdam, Clare passionately delivers a speech about her situation. Because of the risks of being attacked, Clare has not been to church in her home country for three years. The last time she went to church, a petition was passed around during mass in support of the anti-homosexuality Bill that the Ugandan Parliament approved in 2014. When she witnessed that, she felt “heartbroken”. For Clare this became very personal, as the MP who drafted the bill was the representative of the village where she grew up. Coming from a very Christian family, Clare’s faith is something that has marked not only her personal life, but also her career as an activist. I have a personal relationship with God, where I'm okay with my sexuality, where I can be free to love and free to live as a lesbian, but also a Christian. 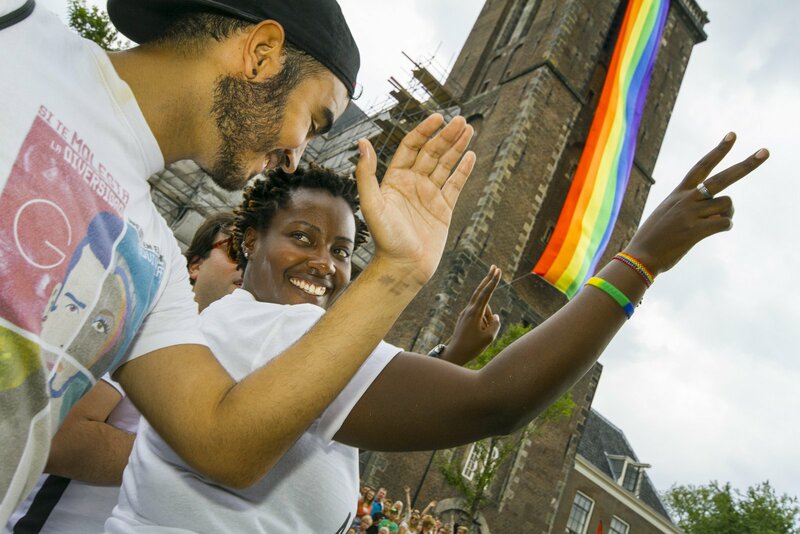 Precisely during the Amsterdam Gay Pride 2014, the Anti-Gay Bill was withdrawn by Uganda’s Constitutional Court. It was a victory for Clare and other Ugandan LGBT activists. But equal rights for gays is still very far away. Clare’s struggle continues. and Clare is back in Uganda. A new law has passed, the NGO Act 2016, that further restricts the work of LGBT organisations. It remains to be seen whether the incumbent president, Yoweri Museveni will use the fight against homosexuality to regain his dwindling support, which was a successful strategy in 2014. An update on Clare’s life in 2016. What happened after you came home from the Amsterdam Gay Pride? “I went to Amsterdam as a criminal and came back as a free woman! During my stay, the anti-gay law had been annulled. There was still an atmosphere of anger. Many felt that homosexuals had won. Religious leaders led a number of protests and MP’s immediately started collecting signatures to revive the law. Things were tense, but we celebrated and even held our own Gay Pride! Do you want to continue your struggle for LGBT-rights in Uganda, and if so, how? “I have dedicated my whole adult life to this fight. There’s no other option but to persist, despite of the odds that are clearly against us. As the Equality and Non-discrimination coordinator at Chapter Four Uganda, I’m currently working to fight the institutional discrimination, by advocating for policies and institutions that favor the rights of LGBT Ugandans. How’s life currently as a gay person in Uganda? “Attention for homosexuality decreased last year, as well as persecutions and violations. Our livelihoods have however not really improved, we still cannot fully access the right jobs, education and health care, because of discrimination. This homophobia was definitely fueled by the anti-gay law of 2014. Go to Clare’s crowdfunding campaign for PFLAG.